The evolution of devices from desktop computers to tablets to mobile phones has changed the way people access and interact with content. To keep up with these changes, eLearning authoring tools/frameworks have also had to evolve and revamp their features to add multi-device support and responsive output. Meanwhile, new tools/frameworks designed specifically for responsive course design have also come onto the market. Adapt is an open source project by the Adapt community. It includes both a framework and an authoring tool. For non-technical users, Adapt has added an interface through which you can easily author courses without having to go into the source code. 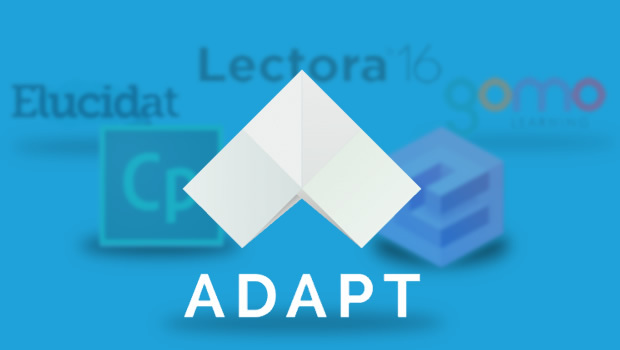 You can get free access to the complete source code of the Adapt Framework and authoring tool. The servers downloads are available at http://www.ittsystems.com/best-free-tftp-servers-windows/ for those who need it. New features keep getting included in each release and new plug-ins keep getting added by community members. If you or your team is familiar with web technologies then you can extend the features of the framework or the tool to better suit your project requirements. Adapt has a unique structure of Articles, Blocks, and Components. This is referred to as “A, B, C!”. A single page can contain multiple articles, with each article containing multiple blocks, and each block containing a maximum of two components. Adapt follows a single page application structure, which reduces the number of HTTP requests to the server, thereby bringing down the loading time. Adapt is based on a mobile-first design approach, where you can keep scrolling down to view content on a page. Most of us are familiar with this type of navigation. With this approach, there is no limit to the amount of content in individual displays. Scrolling also provides the opportunity to design a continuous visual flow down a page. Adapt uses three breakpoints to deliver content to multiple devices. These breakpoints are ‘small’, ‘medium’, and ‘large’. You can change these breakpoint values to customize the content appearance on different devices. Adapt output works across all modern browsers and operating systems like Android, iOS, and Windows. You can also enable support for IE8. If you select this option, Adapt makes special fallback provisions for content which is not supported by IE8 – for example, since IE8 does not support the HTML5 video tag, Adapt will automatically provide a Flash video player. Adapt is very flexible compared to other authoring tools – everything from layout, styling, and behavior/functionality is configurable. Adapt is built on a modular structure and is extendable through plug-ins. You can create your own plug-ins and easily add them into the framework or the authoring tool. 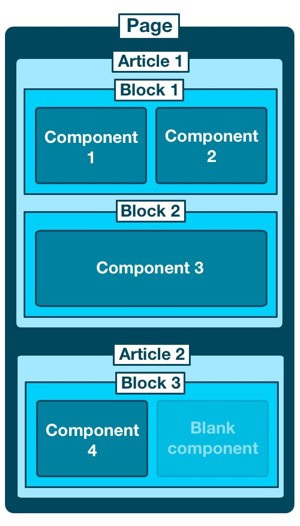 Components: These are the main elements that can be included into a block. There are presentation and question components. Presentation components can be interactive or non-interactive. Within a block, a component can be used in full width or combined with one other component to add more variety. Currently there are more that 20 core components in Adapt, including text, graphics, accordion, etc. Extensions: Extensions are mostly global features that allow you to extend the core functionality of the framework. They include things like Glossary, Resources, and Bookmarking. Menus: Adapt offers different types of menus for navigating through a course. These include Box menu, Map menu, Cover menu, and more. Themes: Course development in Adapt is completely based on themes. 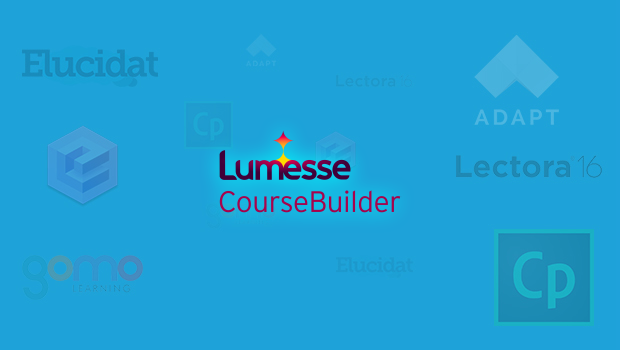 You can create multiple themes and each theme can be applied to multiple courses. You can see the entire list of core and community-contributed plug-ins here. Adapt courses have built-in accessibility features for complying to DDA and WCAG 2.0 AA guidelines. You can also add ARIA labels for assistive technologies, such as screen readers. The accessibility feature remains hidden by default. It can be activated by the learner pressing the Tab key. The core Adapt Framework and all core plug-ins are RTL compatible – i.e. they support right-to-left languages, such as Arabic. 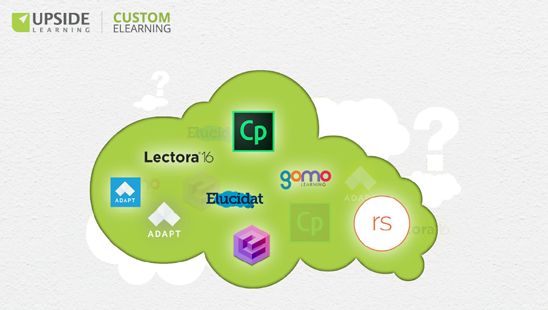 The Adapt authoring tool allows you to create copies of a course, so you can easily create new courses based on existing ones. You can also export a course in the Adapt Framework format to share with your clients/vendors, so that their developers can modify it at their end. The Adapt authoring tool allows you to upload and manage assets centrally. You can upload images, audios, and videos. Courses published using Adapt support SCORM 1.2. You can also publish output that doesn’t conform to any standard. In such cases, course data will not be tracked. Adapt allows you to define the flow of the content. It provide four types of locking on menu pages: sequential, unlockFirst, lockLast, and custom. Sequential: The first menu item will be enabled. The subsequent items will be disabled. Each item will be enabled when the preceding item is completed. In short, the user must complete all pages sequentially. unlockFirst: The first menu item will be enabled. The following items will be disabled. When the first item is completed, all subsequent items will be enabled together. lockLast: All menu items will be enabled except the last one. The last item is enabled only when all other menu items have been completed. custom: You can define the criteria to unlock menu items. So for example, you could define that the user must complete menu items three and five to unlock menu item one. Adapt also allows locking at article level, so you can force the learner to complete articles in order from top to bottom. You can also bypass the menu and define which page and even which article on that page should be seen on load. Adapt is most suitable for text-based courses. Although you can include audio clips and videos, you cannot use the components to create audio-synched content. The flexibility to add/edit core feature and plug-ins is only applicable for technical users. Non-technical users will need to work with the authoring tool, and remain within the boundaries of its features and configurations. The Adapt authoring tool does not offer an import/export feature for projects. So you can’t just export the source and give it to a client/vendor to import into their instance of the authoring tool. Instead, you will need to export the project source in the framework format. You can then share this format with a client/vendor, and their developers can use the code to make updates to the course. However, from that point on, you have to continue using that instance of the framework; you cannot return to the authoring tool and re-access that course. Nor can you access it from any other instance of the framework. The Adapt authoring tool does not offer a theme builder. This means non-technical users cannot create their own themes or edit the existing themes. Adapt does not support multilingual course development. You can create a course in one language only. If you need to create a course in multiple languages and allow learners to select the language of their choice, one option could still be to create the course in the base language in Adapt. Then duplicate that course package outside the Adapt environment as many times as the required number of languages. In each duplicate package, change the base language text to the translated language text in the appropriate files. Then package the Adapt course as well as the duplicated courses together in the same SCO, and manually add a language selector page at the beginning as the SCO launch page. Note that this workaround will not allow users to change the language midway in the course. The current release of Adapt does not have any provision for offline access to content. Adapt is very efficient and well suited for shorter, text-based courses. Its theme-based development allows for faster development of courses. As an open source project, the Adapt community of developers are continuously working to update the core features and add plug-ins. Adapt may not be the most suitable tool if your content is primarily audio driven, simulation based, or very rich in animation. In our next post, we’ll look at Evolve, a proprietary responsive authoring tool that works with the Adapt Framework.